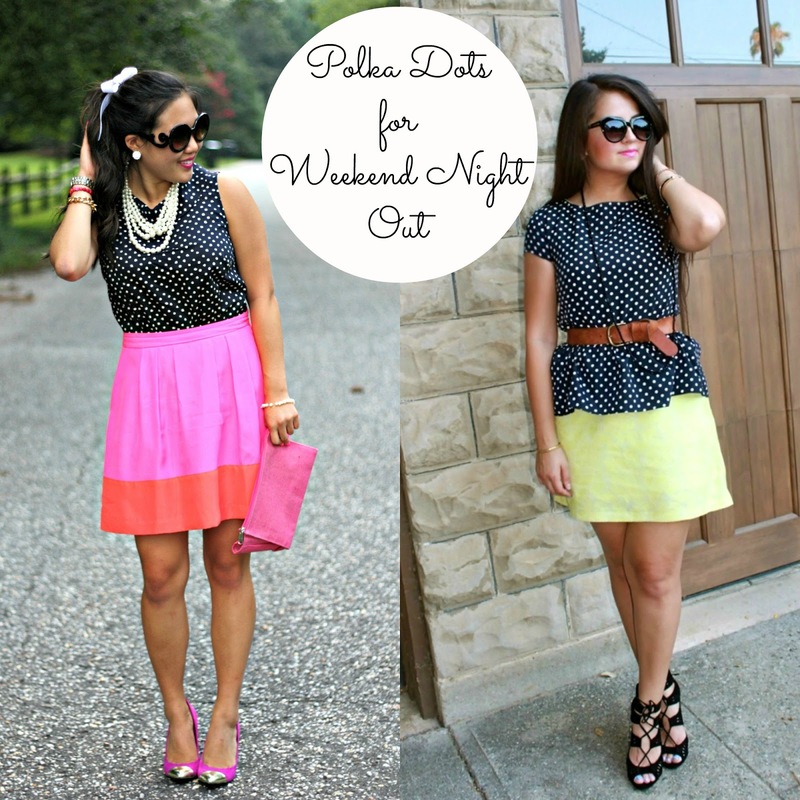 Today Andrea from Month of Diamonds and I have teamed up to show you how we style polka-dots for a weekend night out. Ever since I've been following this fabulous gal on instagram, I've been obsessing over her style. I feel like our style has many similarities, such as a pink lip, heels and a fun skirt with color. I paired my navy polka-dotted top with pearls and a white bow for a more preppy look, while Andrea sported a more bold look by belting her polka-dots paired with a vibrant yellow skirt and topped off with a pair of killer heels. Love love love. What do you guys think of our polka-dot pair-up? How do you style your dots?